This time of year it's nearly impossible to walk two blocks in any direction without passing a restaurant patio, and one is just as inviting as the next. There's something inherently relaxing and satisfying about enjoying a meal outside, and we love all of Richmond's outdoor dining. But it doesn't get much better than the experience of eating and drinking on Legend Brewing Co.'s wooden deck. 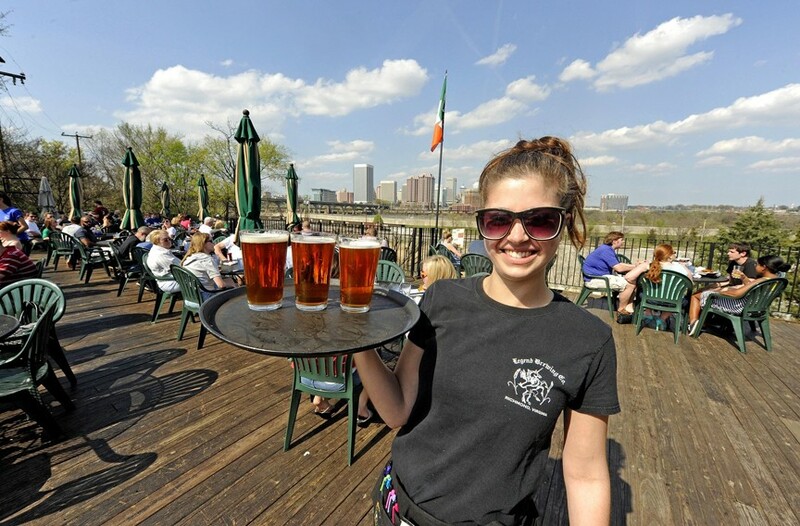 Just south of the James, on the other side of the river from the hustle and bustle of the city, Legend's back patio offers what is easily one of the best views of our skyline. With a couple dozen tables there's room for everybody, and the entire menu is available outside. It's dog-friendly, too, so your fur babies are welcome. And if you stop by on a Sunday evening, you'll be treated to some live bluegrass music. Doesn't get much more Richmond than sippin' on a Legend Brown Ale against the backdrop of the James River while a local musician plucks away at a banjo.